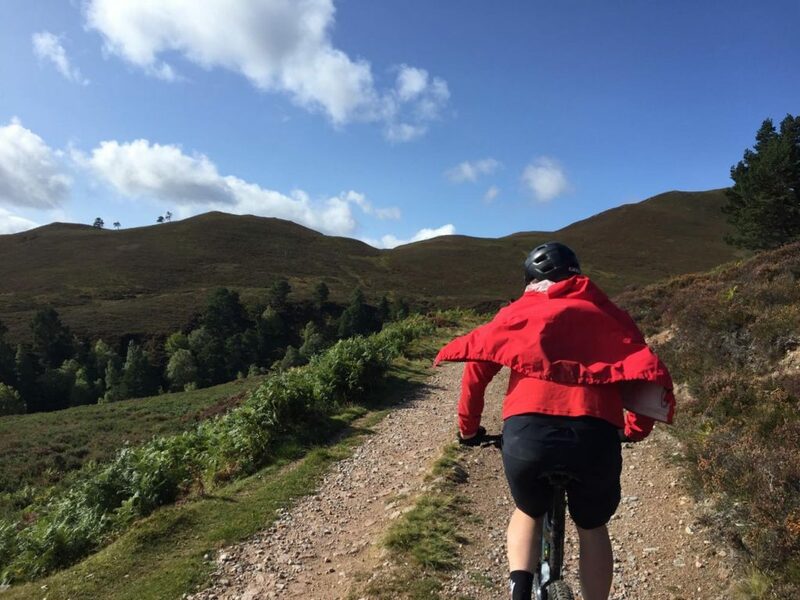 If you’ve visited Aviemore with your bike or you live in the area you have probably heard people talk about ‘The Burma’ and how tough it is and comparing their best ‘Burma’ times. So what’s it all about? You can start the Burma Road Loop from Mikes Bikes in the centre of town, we have a free car park at the shop so you can leave your car here while you’re out sweating it up steep hills! Head south out of Aviemore to start, when you reach the A9 (don’t worry you don’t have to cycle on the A9!) you will see Lynwilg signposted across the A9. Once you cross the A9 just follow the little singletrack road through the estate for about 1 Kilometer and you will reach a big gate at the end…the Burma awaits you! Jackets quickly unzipped to start the climb! People are right if they tell you the start is the worst bit, head through the gate and first section of the punishing climb awaits you – make sure you shift into your easiest gear for this bit! Bear with it because after this little section you head out into the open, look behind you and the views are stunning, it’s amazing how high you climb in such a small space of time! Climb, climb, climb! Worth it for these views! Keep grinding along for a couple of Kilometers up the wide forest road, it’s tough but rewarding when you reach the top. The worst bit has to be the section with the lone trees – the trees feel like they just get further away! It looks fairly flat …. but it’s really very steep! 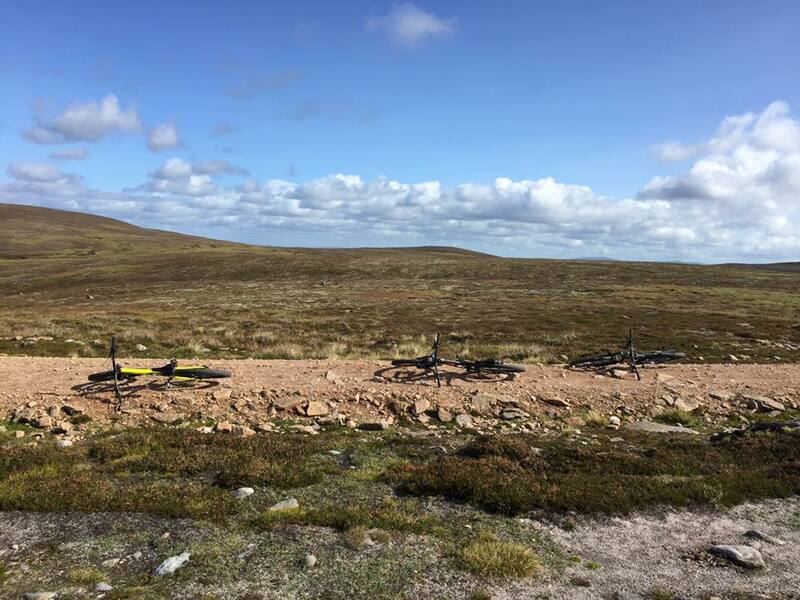 After anything from 30 minutes to an hour, depending on ability, you will see the first Cairn at the top but keep pedalling to the second Cairn and look behind you and you will see a stunning panoramic view of the Cairngorms! This is your chance for a good selfie! By this point you are at around 700 meters in height and that is really the toughest part of the ride done. To your left is a local Corbett – Geal-Charn Mor. Stunning views from the Summit! After you have re-fuelled at the summit enjoy a long downhill into a little Glen, will you spot the Red Roofed Bothy on your left hand side? Looking down to your right you will see the River Dulnain, follow the river on a landrover track all the way down through the forest for around 7 Kilometers to Station Road, just a mile or two outside the village of Carrbridge. Down by the River Dulnain after a fast fire road descent! 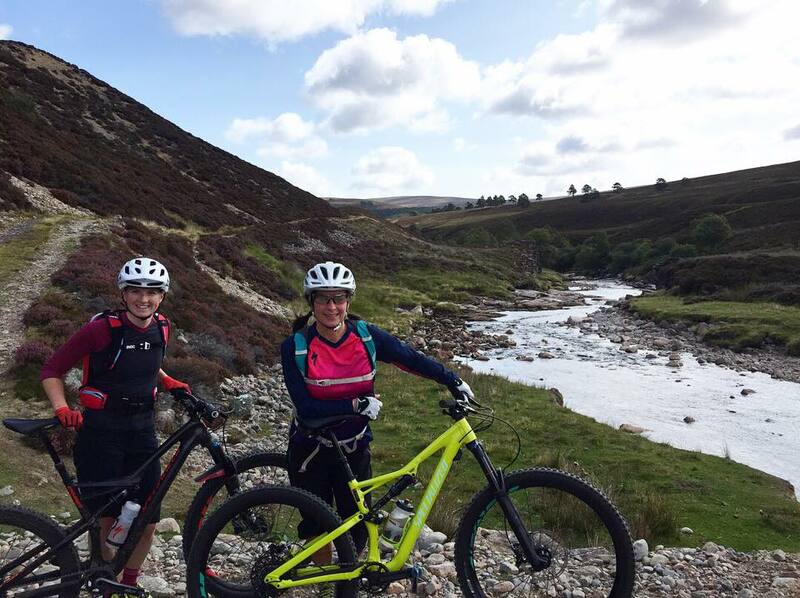 Once you reach station road you can either blast along the road for a mile or two into Carrbridge and pop into one of the local cafes to refuel or add on a loop of the Carrbridge Singletrack – it’s definitely worth the extra push for the fun down! Enjoy a nice flowy trail all the way down into Carrbridge town with a mixture of rocky sections, roots and a little bit of loam. 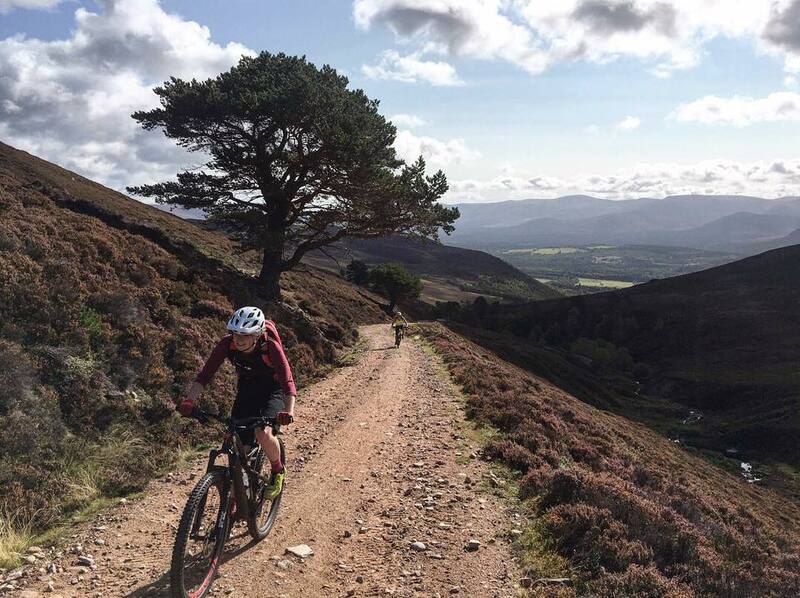 Fun, flowy singletrack at Carrbridge is definitely a worthwhile addition to the loop! The return leg is pretty direct and fast and one you are probably familiar with. 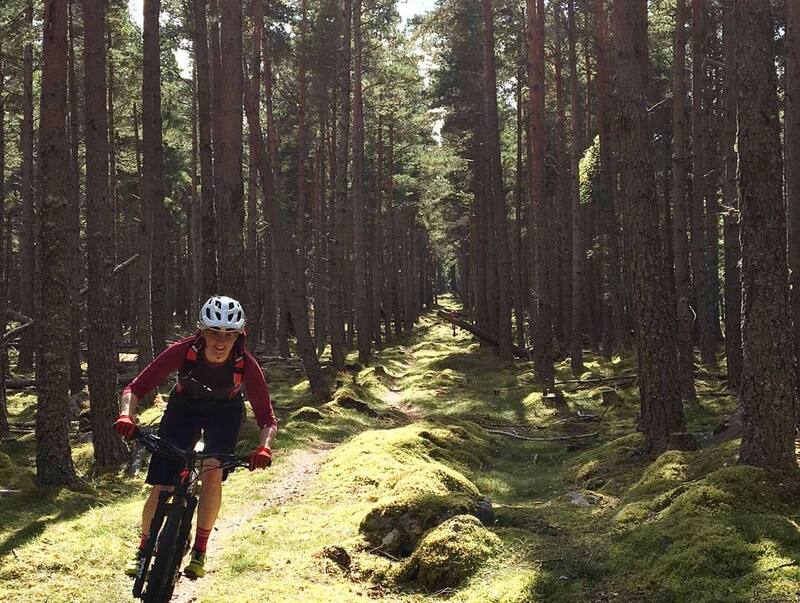 Simply ride through Docharn Woods on the main forest road for 5 Kilometers and you will reach the A95 Road, just pop over the road and down the cycle path and you are in Boat of Garten. It’s then an easy 5 Kilometers along the Speyside Way (Route 7) into Aviemore, it’s a nice way to finish what has been a tough loop with lots of climbing. At the end of the Speyside Way you will see Route 7 Cafe in the Aviemore Industrial Estate – this is perfect for a post ride meal! The Burma Road is a fantastic loop with a mixture of everything from long climbs over the hills to fun flowy singletrack. 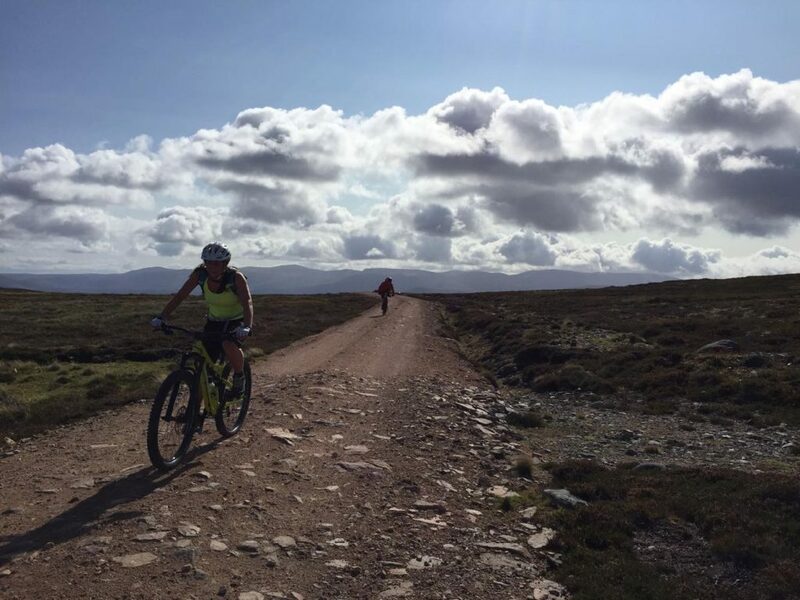 There are stunning views of the Cairngorms the whole way and a fantastic ‘rural feel’ when you drop over and are riding along the River Dulnain. A minimum of a hardtail bike with good front suspension and hydraulic disc brakes is recommended for this route as a minimum, some of the fire road descents are fairly steep and give your brakes a good workout! Cafes? Carrbridge Kitchen, Boat of Garten Gallery, Route 7 Cafe Aviemore. 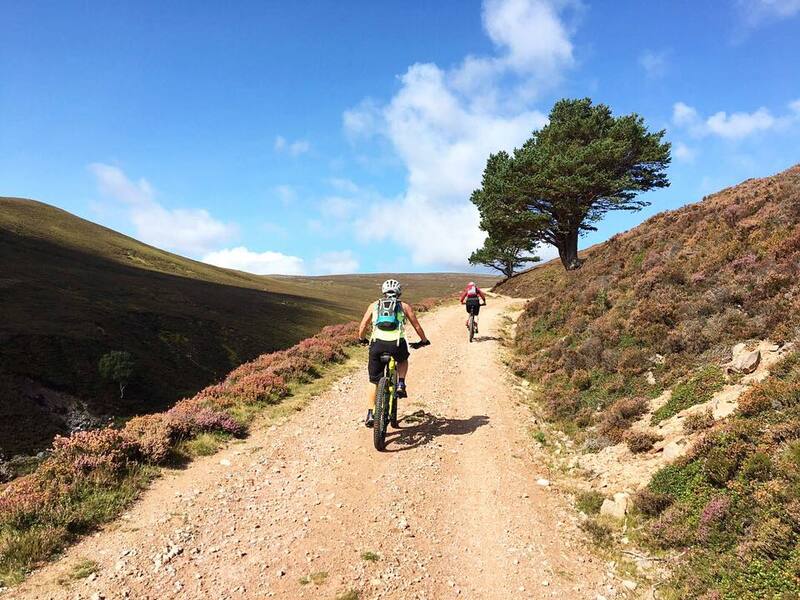 Visiting Aviemore without a bike?